Melatonin is known to be one of the most effective – and readily available – sleep aids in the world. Those are just two of the many reasons why it is so popular for treating a range of sleep-related challenges. But what’s the right melatonin dosage for you? After all, you want to get the maximum impact from this amazing hormone, but you can’t enjoy its full benefit if you take the wrong melatonin dose. To help you get the sleep you need, here’s a guide to finding the right melatonin dosage. The first thing you need to determine before landing on a melatonin dosage is why you’re taking melatonin in the first place. There are a number of different melatonin uses, and the reason why you’re taking melatonin will certainly influence how much you should take. Your melatonin dosage will differ whether you’re taking it for insomnia, jet lag, disrupted sleep-wake cycles, long-term sleeping difficulty or other reasons. The perfect melatonin dose also differs between adults and children, as is explained below. The right melatonin dose for adults ranges between .03 and 12 milligrams. As an important rule of thumb, remember that it’s always best to start with a smaller melatonin dose and increase as needed. That’s the best way to find the right dosage for your needs. If you’re struggling with insomnia, consider starting with a melatonin dose of up to 3 milligrams. Use that melatonin dosage for 3 days, and then increase to between 5–6 milligrams if you’re still not getting the desired results. If you’re taking insomnia for jet lag, start with a melatonin dose of up to 5 milligrams. Use melatonin the first night after you arrive at your destination. Or, if you know you suffer from jet lag, consider starting with a melatonin dosage 2 days before departure. A melatonin dose of anywhere between 2 and 12 milligrams is appropriate for disrupted sleep cycles. Just make sure to discontinue taking melatonin after 4 weeks. If your disrupted sleep cycles persist and melatonin does not help within 4 weeks, consult a physician. Finally, start with a melatonin dosage of 2 or 3 milligrams if you’re struggling with long-term sleeping difficulty. Again, use for up to 4 weeks before consulting a doctor. It’s especially important to consult a pediatrician before giving a child melatonin. That said, melatonin doses of up to 5 milligrams can be appropriate for children in certain cases – though it’s best to start with a much smaller amount. 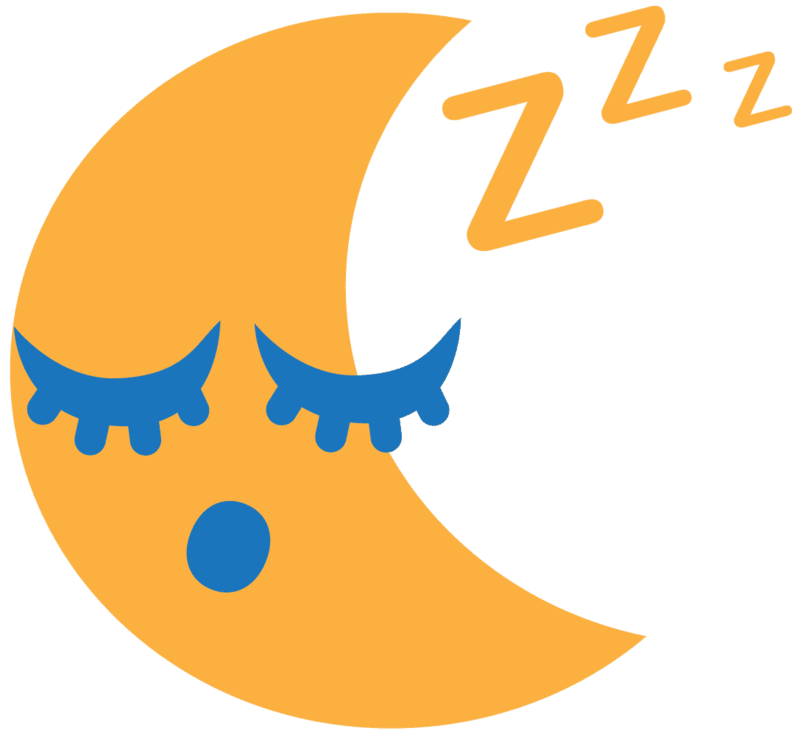 Insomnia 5 mg or 0.05 mg/kg to 0.15 mg/kg of body weight at bedtime 4 weeks has been used in children 6 to 12 years-old with primary insomnia. For secondary insomnia, 6 mg to 9 mg, taken before bedtime for 4 weeks, has been used in children 3 to 12 years-old. Reducing anxiety before surgery 0.05 mg/kg to 0.5 mg/kg of body weight children 1 to 8 years-old. For children under 15, melatonin doses of more than 1 milligram have caused seizures in some cases. That’s why melatonin doses of .03 milligrams are the best starting point when a child is having trouble falling asleep (and staying asleep). Most experts suggest using sleep training techniques to help toddlers, rather than providing a melatonin dosage. 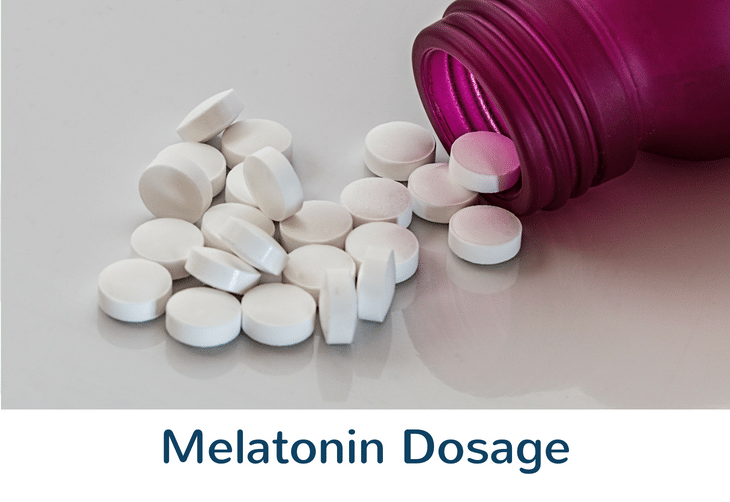 If you have a child younger than 2 or 3 years old, you can attempt to induce a natural melatonin surge by making sure their rooms are dark at bedtime, which can be tough in the summertime. Also, avoid letting your toddler watch TV or use devices like tablets or smartphones 30 minutes to an hour before bed. One last thing you can try to help your toddler create melatonin is to let natural light enter his or her room when it’s time to get up in the morning. How do you know you should increase your melatonin dose? If you have trouble falling asleep after 20 or 30 minutes in bed, try a slight increase. Also, if you have a hard time staying asleep, you might consider increasing your melatonin dosage. For children, increasing up to 1 milligram is OK, though stay in much closer contact with a medical professional as you decide to start melatonin and certainly as you increase a melatonin dosage for a child. Melatonin is a hormone produced naturally in the body. Melatonin supplements are best used when your body isn’t producing enough melatonin, or when it is producing melatonin at the wrong times. For that reason, using weight as a guide for your melatonin dosage is a bad idea. It’s far better to understand how much you’re producing naturally and when your melatonin surge is occurring. Whenever that surge occurs, you’re going to start getting sleepy — so it’s best to line up your melatonin surge with your bedtime. It’s hard to pinpoint the lethal melatonin dosage because it’s a natural hormone. Just make sure you’re not going beyond the recommended dosage for your melatonin use. If you do, you may start to experience more severe melatonin side effects, such as overly vivid dreams, headaches, etc. Also, make sure you understand different melatonin interactions and how melatonin mixes with other things you’re taking or ingesting. There are specific interactions between melatonin and alcohol and melatonin and weed that you should be aware of. Your best melatonin dosage calculator is your primary care physician. If you’re having trouble sleeping, or if you’re experiencing other issues that melatonin is know to alleviate, see your doctor and get his or her expert opinion. Of course, using melatonin for jet lag and other short-term challenges doesn’t require a visit to the doctor. In these cases, use the melatonin dose recommendations outlined above, and remember that it’s always best to start with a smaller melatonin dose and then to increase as needed. This approach is safe and it also helps you identify the perfect melatonin dosage for your body. If you find yourself experiencing melatonin side effects, decrease your dosage or stop using it altogether.